Waterproof Paper: Should I Print with Inkjet or Laser? Should I Print With Laser or Inkjet on Waterproof Paper? 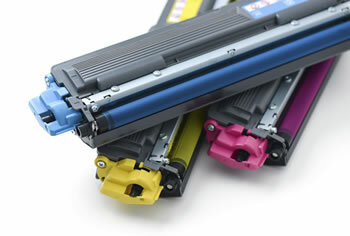 Laser printers generally perform better for producing waterproof documents than inkjet printers. Laser toner is not water soluble, while many inkjet inks contain water-soluble dye. If we have a waterproof document to print, we are going to print it on a laser printer - every time. We have tested the papers that we sell on many popular printers. We learned that laser printers generally perform better than inkjet printers on waterproof papers. 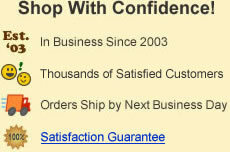 Many of our customers use inkjet printers and are satisfied with their results. We are simply stating our preference and recommend that you consider a laser printer if you are going to print waterproof documents. Laser toner particles are not soluble in water. They enters the pores of the paper where they will not dissolve or wash out. The toners used in most laser printers are pigments that are not soluble in water. The toner particles enter tiny pores within the paper where they will not dissolve or wash out. They can only be completely removed by abrading the paper. That makes laser printing more durable in all types of weather and in most types of use. 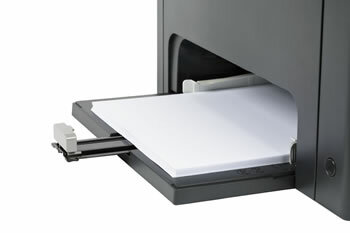 And, when you print on an abrasion-resistant paper that makes your document even more secure in demanding situations. Your document's performance will only be as strong as its weakest component. Use a printing method that matches the durability of the paper! Many inkjet printers use water soluble dye-based inks. These can bleed or smear in contact with water. Some inkjet printers work well with waterproof papers because they apply a pigment-based ink. The pigment particles are not soluble in water, enter the pores of the paper, and resist washing off. They have a level of performance that is similar to a laser printer. Companies who supply pigment-based inks want you to know about it because they are high quality inks. They resist fading when exposed to strong sunlight (and some types of man-made lighting). They are also the type of ink that many artists and photography professionals prefer. These companies usually communicate the word "pigment" on the package, on the cartridge, on their websites, and in their marketing materials. It is usually easy to identify pigment-based inks. What you need to watch out for are inkjet printers using dye-based inks that are water soluble. If you print with them and expose the document to water, these will be mobilized. This can cause them to wash out or bleed across the document. Low-cost inkjet printers are typically the ones that use dye-based inks. These are the inkjet printers found in many homes and small offices. The inks used in many inkjet printer refill kits are made with water-soluble dyes. These can perform poorly when used to print a waterproof document. They can also be subject to fading if exposed to direct sunlight or strong artificial lighting. Generic inkjet printer cartridges and inkjet refill kits often contain dye-based inks that are water-soluble. These can bleed or wash out when exposed to water. They are also likely to fade when exposed to strong sources of light. Yellow and red inks will fade first. 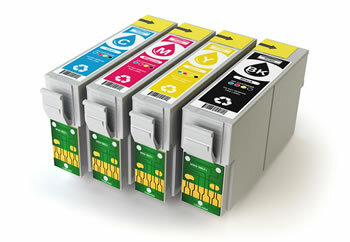 The ink cartridges produced by a printer's manufacturer usually contain high-quality ink. They are making cartridges to perform great in their printer. They have a brand to protect and that is their goal. 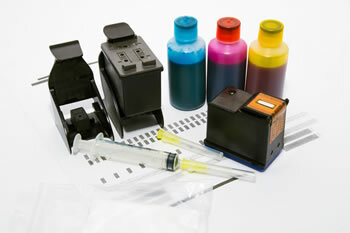 However, many of the ink refill kits and generic cartridges are manufactured with the goal of competing on price. They will probably work great for printing your homework, but you might want something better when you are collecting important data or using a map to find your way far from home in the field. Your document is only as durable as your combination of printer, paper, ink, and writing implement. They must be compatible with one another and with the environment in which you will be working. In many instances the paper will perform superbly but the ink or the writing implement did not. We always recommend testing before you do important field work or begin a critical project. That will enable you to see how your printer, paper, ink and writing implement perform as a group and then adjust for best results. That's why we offer sample packs of paper at a price that approximates our cost of preparing them and delivering them to the customer. Most waterproof papers are thin plastic sheets instead of a wood pulp product like most standard papers. The plastic sheets can be written on with with a standard ballpoint pen but they will not accept pencil. Gel pens are not recommended because their inks are usually water soluble. For best results we recommend a pen that writes with waterproof ink. Why spend the money on waterproof paper and then use a pen that might wash off? For more information about waterproof documents and waterproof writing see our article "Writing on Waterproof Paper". Outdoor signs can fade from exposure to strong sunlight. Indoor signs can also fade when exposed to strong artificial light. Bright light can cause dye-based ink applied by some inkjet printers to fade in a short amount of time. Several days or a few weeks in direct sunlight can cause some dye-based inks to fade. Yellow and red inks usually fade first. Laser printers and inkjet printers that apply pignment-based inks usually work best for documents that will be exposed to strong sources of light. For extended use in strong sunlight or other harsh conditions we suggest metal signs over the use of a paper or synthetic paper document.